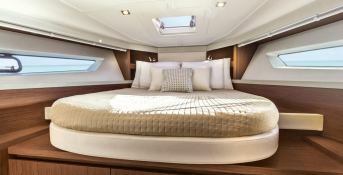 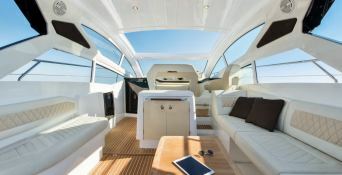 The Gran Turismo 40 built by the Shipyard Benneteau is available for charter rental in Ajaccio. 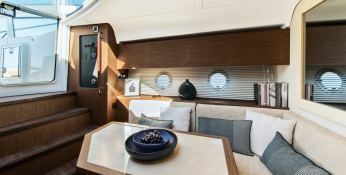 She combines a marvel of technology with comfort ... Optimal for 4 people it will allow you to sail along the Corsican coast to Bonifacio or to the Sardinia and the islands of Lavezzi and Madeleine. 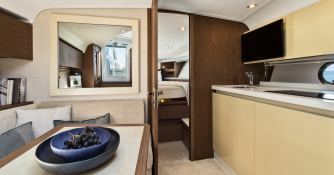 Situated in Ajaccio, Corsica, this motoryacht Gran Turismo 40 (2 double cabins), built in 2017 by Beneteau, is capable of hosting up to 6 pax. 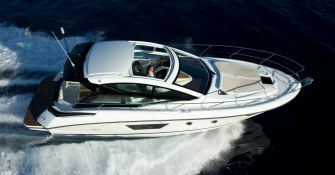 Further more, and for a better motoryacht charter experience, Gran Turismo 40 comes with 3x370 Hp engines. 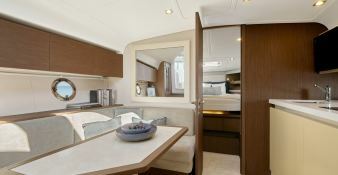 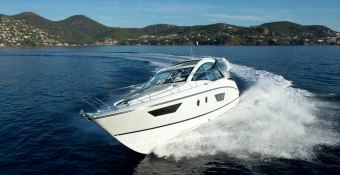 This motoryacht is available for yacht charter starting from 6 800 € (approximatly 7 669 $).